Many Indians are developing a penchant for purchasing rugged utility vehicles, which can be seen from the rising popularity of the compact Sports Utility Vehicles (SUVs). Two vehicles that have generated considerable interest in this segment are the Premier Rio and the upcoming Ford EcoSport. While the former has impressed buyers with its practicality, the latter has generated a lot of interest through a social media campaign and media hype. 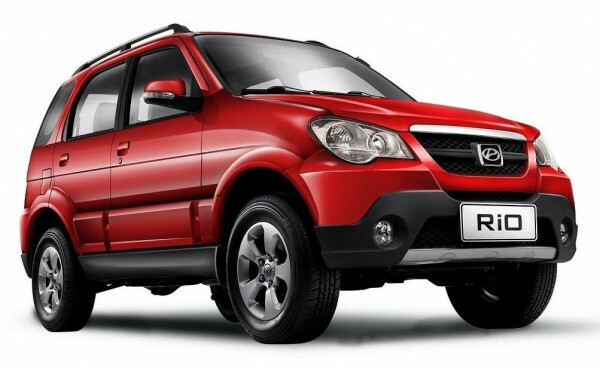 Premier Rio is available in two different engine variants- a 1.2 litre petrol and a 1.5 litre diesel motor. While the petrol version generates 63.7 bhp of power, the diesel variant produces a peak power of 75.5 bhp. The diesel variant is configured to meet BSIII emission norms, while the petrol one meets latest BS IV norms. On the other hand, Ford EcoSport would get three engines- 1.0 litre EcoBoost petrol and two 1.5 litre diesel engines. The EcoBoost will generate class-leading power output of 120 bhp, while the diesel versions would produce close to 90 bhp. Evidently, there is not much to choose between the diesel variants in terms of power, but the petrol version of the EcoSport is significantly more powerful. The Premier Rio has recently undergone a face lift, which makes it appear a lot appealing than earlier. However, Ford EcoSport looks a lot more intimidating with a large grille and machine gun-like fog lamps. The compact SUV gets a rear spoiler, which gives it an aerodynamic appearance. Ground clearance of both the vehicles is same, at 200 mm. However, the EcoSport is also capable of moving through 550 mm of water. While the Rio looks like a definitive SUV, the EcoSport vehicle appears more like a cross between an SUV and sedan. The overall dimensions of the EcoSport give it the bulk of a traditional SUV. On the inside, both vehicles are capable of seating 5 adults with ease. The interiors of Rio look very practical and simple. There is no clutter on the instrument console and all buttons are within easy reach of the driver. On the other hand, EcoSport's interiors exude an air of style, with a dashboard in dual tones of black and silver. Black leather seats have also been fitted in this vehicle. An ice blue glowing light can be seen when the instrument cluster lights up. In terms of gearboxes, the Premier Rio gets 5-speed manual transmission on all variants. There is no option for automatic transmission on any variant of this vehicle. In comparison, Ford EcoSport gets a 5-speed manual transmission and a 6-speed Powershift automatic gearbox with dual clutch system. Though both vehicles are equally competitive in the market, it is the American manufacturer which would win this battle primarily because of EcoSport’s better performance and looks. Those looking for power would prefer the EcoSport, while those searching for practicality in this segment should consider purchasing the Premier Rio.